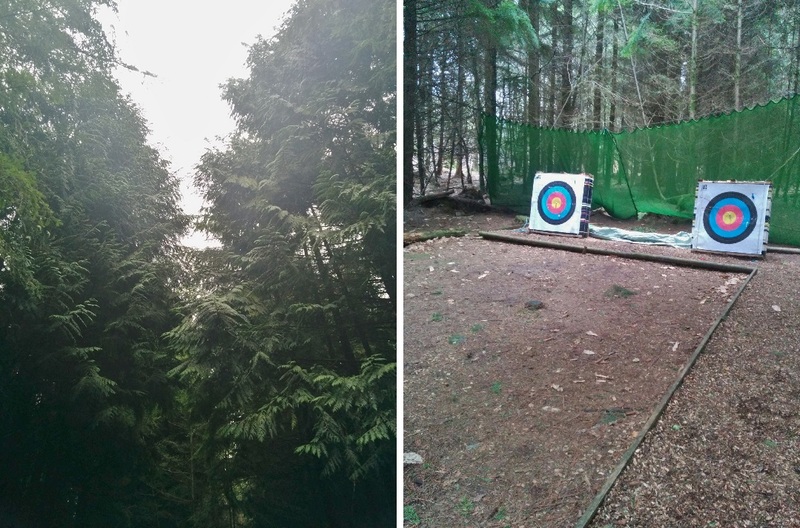 Last Saturday, Adam and I had the chance to head just beyond Tavistock for a Devon day out at Tamar Trails, a family run outdoor activities centre with miles of trails through woodland, and tonnes of activities to try. 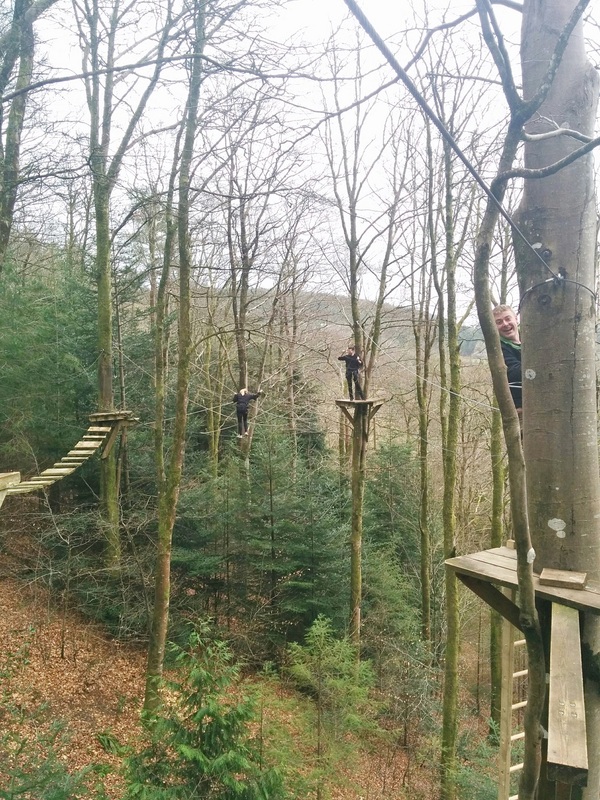 As a blogger, getting to have a go at these kind of things is a major perk, and we’d signed up alongside Anna, Zoe and their +1s, Nath and Elle to try Tree Surfing, Archery, The Gigantic Zip Wire and The Leap of Faith. 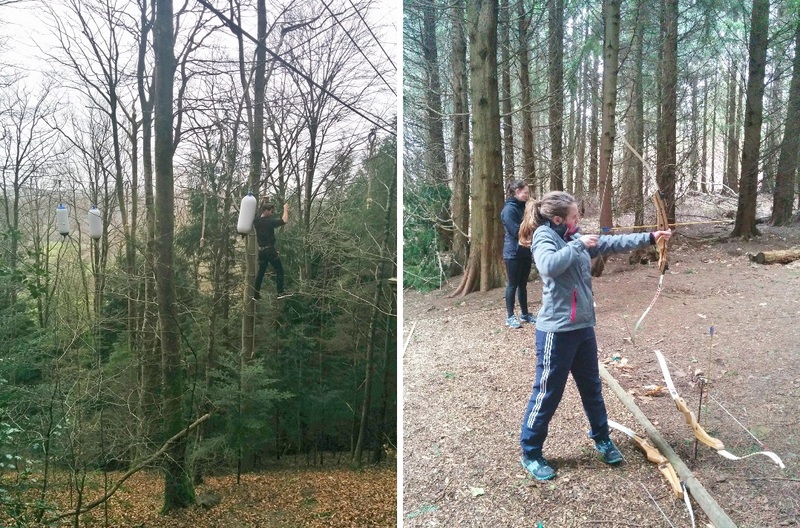 Cue an hour or so high up in the trees, having to wobble, swing, jump and fly our way from obstacle to obstacle. 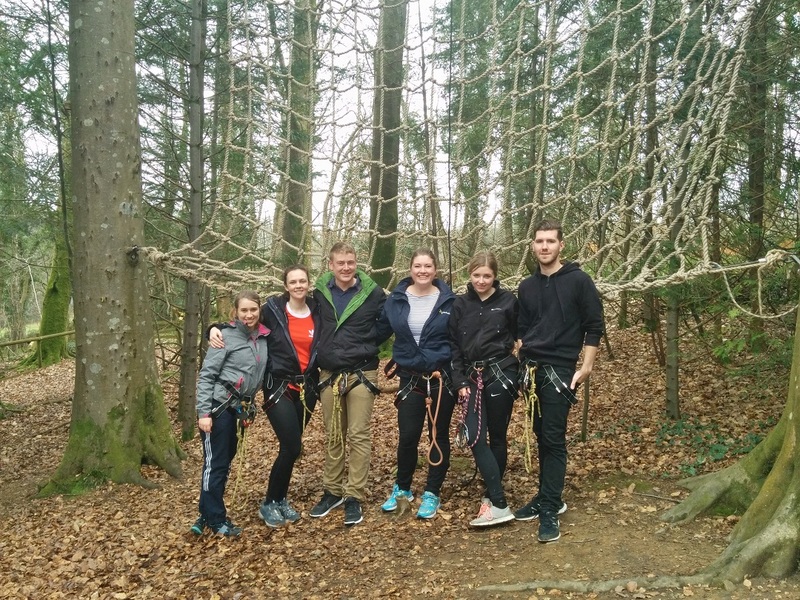 Some were definitely more challenging than others (we won’t mention the criss-cross rope thing that I managed to somehow fall off and rip the crotch of my jeans…lol!) and even knowing that you were 100% safely locked into the harness system at all times still didn’t help at points as the adrenaline was pumping from throwing yourself off a tiny platform up a tree! We all made it, no-one had to be rescued, and everyone agreed how awesome it was, I would LOVE to do it again! To calm our nerves we headed back into the Beech cafe for some tea and cake, and my god was that stuff good. 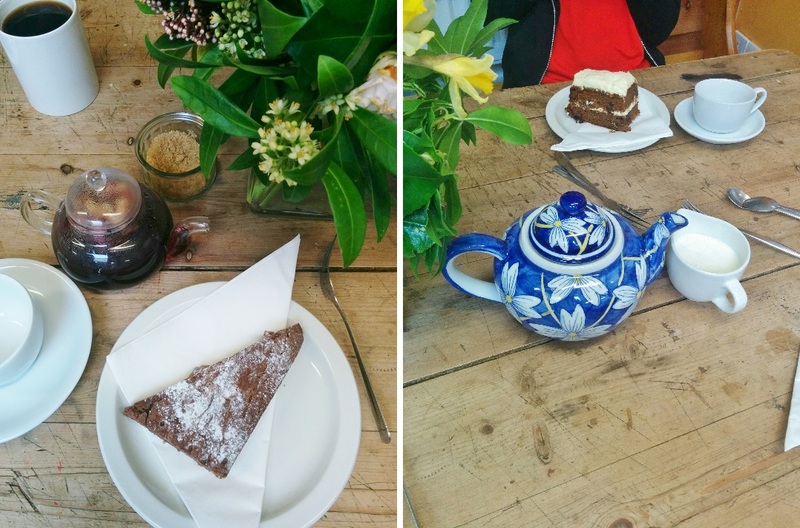 Cornish berry tea that tasted so strong and incredible (I even got him to refill my teapot with hot water) and an amazing selection of homemade cakes (incidentally including gluten free options, lucky old Adam!). I had a cheeky chocolate brownie and Adam opted for the vanilla and ginger cake, which I can vouch for being amazing too. Tbh I could have happily tried every single one of the cakes on offer, everyone’s looked unbelievable! 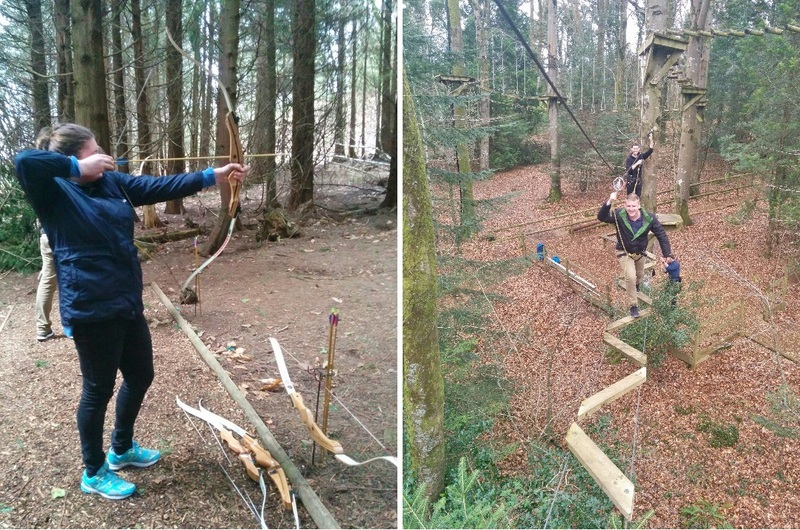 After recharging with sugar, we headed out again with the lovely Gabby who took us up to the archery range in the woods. Also having done it before didn’t necessarily make me any good, but it was a lot of fun all the same! 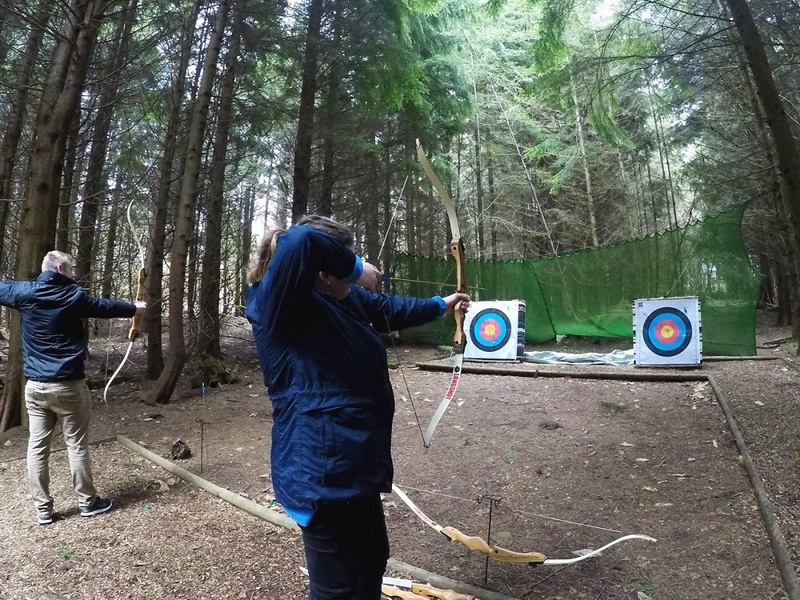 We played a few games, popping balloons and even got to have a go from further back, it certainly made you feel like you should be in Robin Hood or something! You’ll also see just how excited people were to get a bulls-eye or pop a balloon in Anna’s vlog! Then was the final push, for the leap of faith. Attached only to your back, there’s nothing to hold on to as you jump off a platform 40ft high up a tree. The pulley system is designed to let you free fall for as long as possible before catching you at the last minute and dropping you with a soft landing safely on the ground. As I’d been ok doing the jump on course 3 off the platform into thin air, I’d convinced myself I could maybe also give the leap of faith a go. 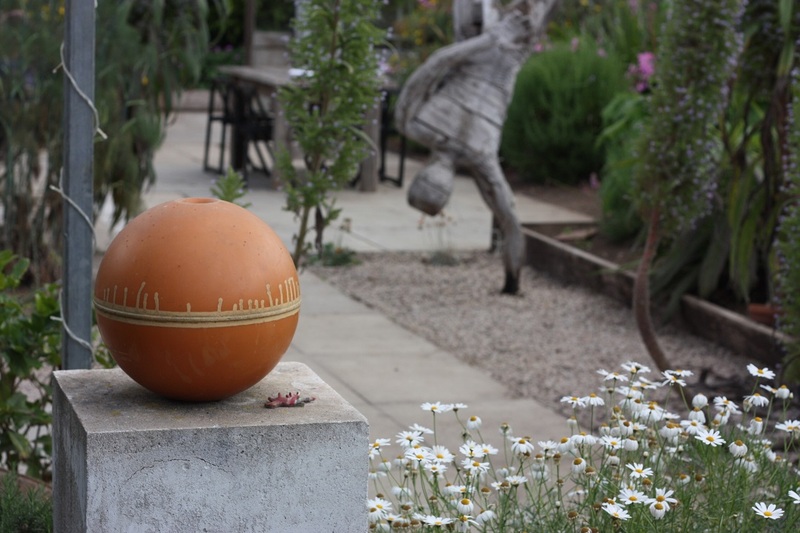 However, watching the speed that Adam fell, and not even having a rope to hold, I just couldn’t bring myself to do it. Adam’s video is amazing and I was super proud that he had the guts to give it a go, now I look back, I bet the adrenaline rush was so good I wish I had too! Tamar Trails offer so many amazing activities, in such a beautiful setting, I’d love to go back and walk or cycle some of their 25km+ trails through the woodland, or canoe on the river nearby. The staff were all brilliant and it would make such a great place to visit for a stag/hen do, kids party or family adventure. 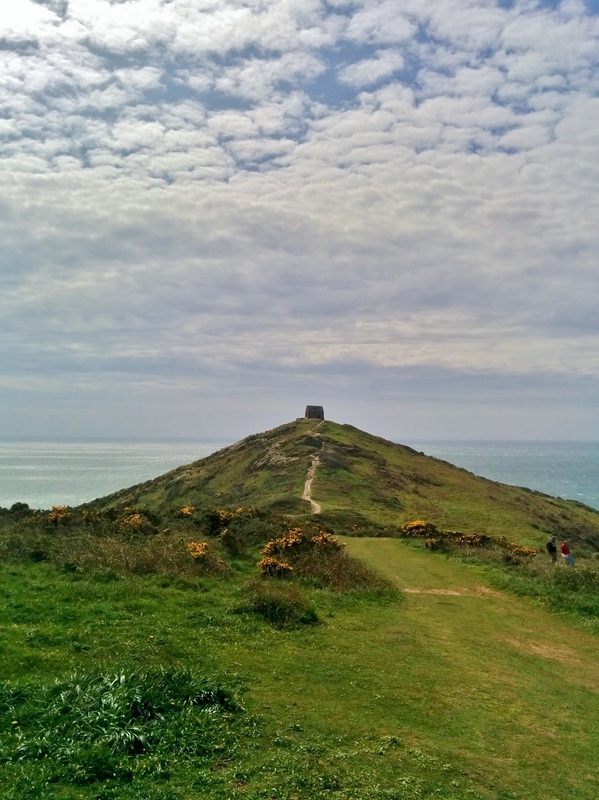 I’d highly recommend a visit if you’re looking for a Devon day out and it’s close enough to north Cornwall for a visit too. It didn’t take much persuading to sign me up for a day at Tamar Trails, but I was honestly so so impressed by everything there, I know I’ll be going back again! 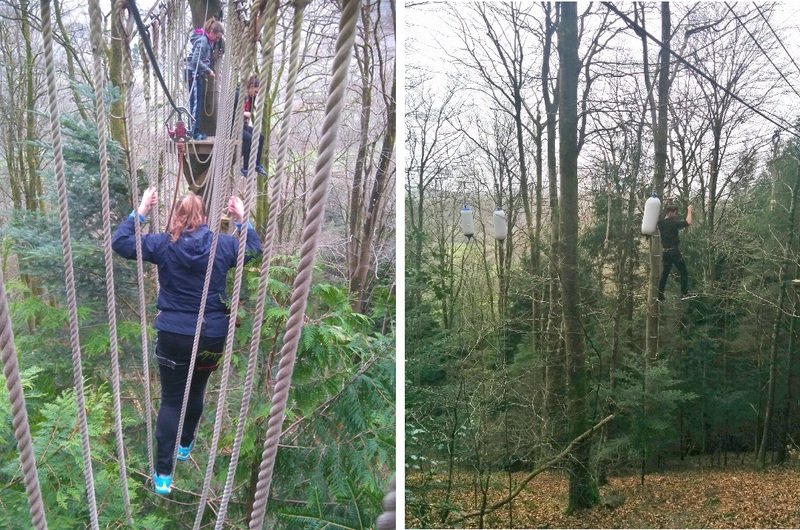 To see more, visit the Tamar Trails website here, or book online at Tree Surfers.